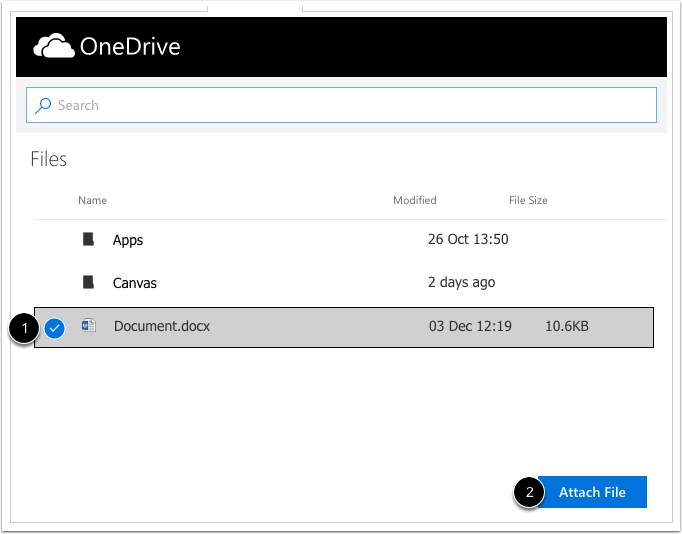 If your course has enabled Microsoft Office 365, you can upload a file from your Microsoft OneDrive for an assignment. Like other file upload submissions, files uploaded from Office 365 are uploaded into your Canvas user files submissions folder. Canvas accepts Microsoft Word, Microsoft PowerPoint, Microsoft Excel, and PDF types. If the Office 365 tab is not available in your submission, your institution has not enabled this feature. Canvas will require you to authorize access to your OneDrive account. In Office 365 assignments, you can only submit one file for your submission. When Office 365 files are uploaded as a submission, later changes made to the file in OneDrive will not be updated in the submission. Click the Office 365 tab. Note: If the Office 365 tab is not available, your institution has not enabled this feature. Microsoft Office 365 will display a list of all allowed file types. Click the name of the file , then click the Attach File button . In the File field , confirm your selected file. To select a new file, click the Change button . Click the Submit Assignment button . 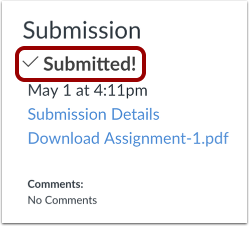 After you submit your assignment, Canvas displays a message notifying you that your submission is processing. You can navigate away from the assignment submission page without disrupting the file upload. You will also receive an email notification when your submission completes processing. To clear the notification, click the OK button. If your submission has been queued for upload, an uploading icon displays . 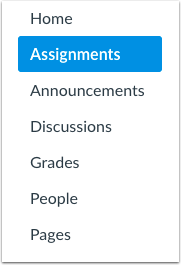 This icon also displays for your instructor if they access the assignment before it uploads. If your submission failed to upload, an upload failed icon displays . Click the download submission link to view the error. Previous Topic:How do I submit a cloud assignment with Google Drive? Next Topic:How do I know when my assignment has been submitted? Table of Contents > Assignments > How do I upload a file from Microsoft Office 365 as an assignment submission?